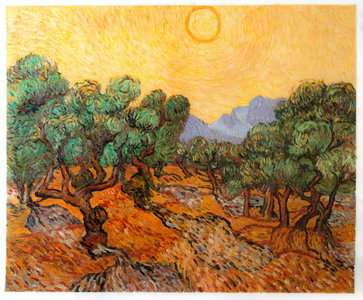 Olive Trees with Yellow Sky and Sun belongs to the Olive Tree Series of paintings created by Van Gogh. Despite his illness and emotional turmoil, these paintings are some of his finest. 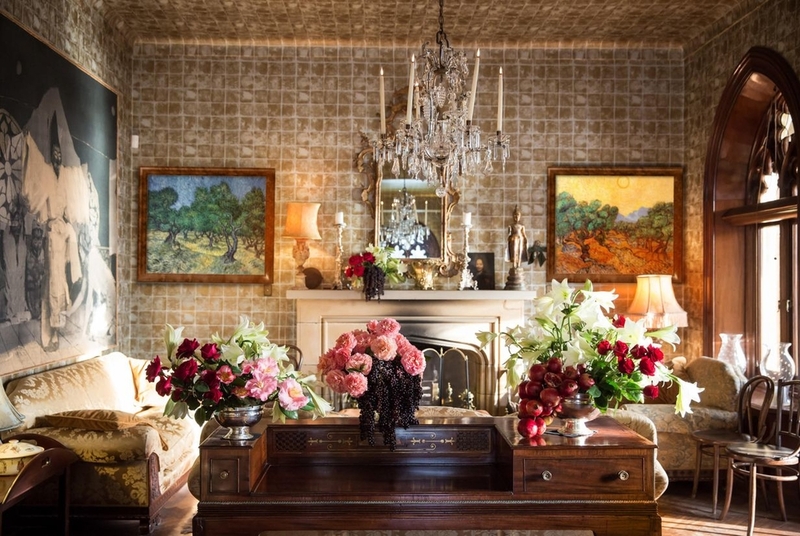 Our artists have studied Van Gogh thoroughly and learnt his techniques, use of colors and varied brush strokes to make paintings that look very close to what he has made. An untrained eye may not be able to make out the difference at one glance. 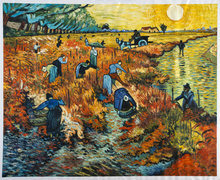 Van Gogh was at Saint Remy asylum when he made this painting. He often took permission to venture out of the asylum walls and capture the surrounding countryside in his paintings. 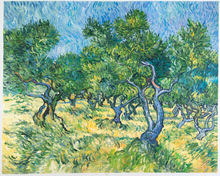 Olive Trees were representative of the Provence in 1889 and he captured these well in the 18 paintings that he created in the Olive Tree Series. 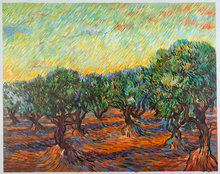 Van Gogh was often mesmerized by the rustle of the Olive Trees. He often compared their cycles to an analogy of human life and found profound meaning in their existence. Painting these gave him relief from his illness and emotional turmoil that he often suffered during this period. Warren Keith Wright, the novelist, happened to look at this painting when he visited the Minneapolis Institute of Art. Although there were many paintings there, this particular painting left him in transfixes. According to him, this painting represented not one but two periods of time. It predicted its own future while reverting to its own past. I received the painting. I was traveling and away for a few days so my neighbor picked up the package for safe keeping. I just had a chance to really look at it. The painting is beautiful! Thank you so very much. I found a good framer with a gold antique frame slightly similar to the original in Minneapolis and will be done in a few weeks. My partner's birthday is July 23 so I will have it in plenty of time and will send you a photo after her birthday when on the wall. Again, thank you for a great experience and work. The paint stroke directions and color is breathtaking. I am so inspired that I may take a road trip to see the original again. I will be in Amsterdam traveling next April/May and if you are available would love to say thank you in person.